Making good choices—could there be any more valuable life skill? Everyone has strengths! Sometimes they are hidden and sometimes they shine like blazing lights. And sometimes, especially when things get tough, we may wonder where our strengths have gone! We may think of strengths as qualities we inherit (such as patience, resilience or kindness), resources we gather (such as a house, a computer or a car) or skills we learn as we journey through life (such as a profession or other skills and talents such as fixing an engine, growing a garden or casting a fishing line). But we can also think of our strengths as choices we make. We can choose to see ourselves as a ‘victim’ or a ‘survivor’. We can choose to see the glass half-full or half-empty. We can choose to see ourselves as possessing hopes, dreams and untapped potential or as filled with deficits and problems. We can choose to focus on and practise a particular strength from a huge array of potential strengths. 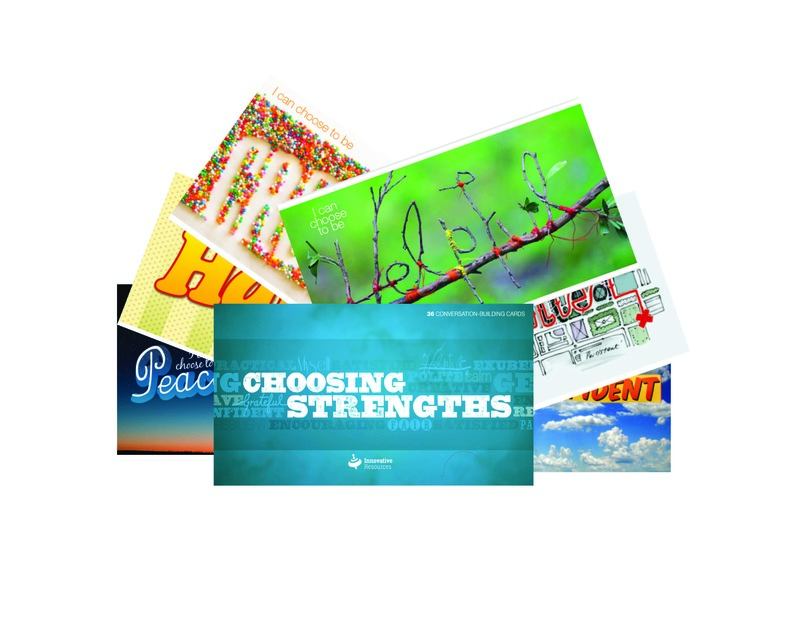 Choosing Strengths is a set of 36 cards and booklet. This conversation-building resource is founded in the rich tradition of CHOICE THEORY and STRENGTHS-BASED PRACTICE. Each card, beautifully illustrated and designed by Tim Lane, identifies a potential strength that anyone can choose to cultivate and make their own. ‘Wanted to share my joy in using the Choosing Strengths card set with some staff who are in charge of assessing and approving government aid. Often these officers are seen to be hard-nosed and inflexible about how they administer the guidelines for assistance schemes. I’m a Christian Pastoral Support Worker (Chaplain) at an R-12+ school for around 70 children and young people with intellectual disabilities. The students have a range of disabilities such as autism, Down syndrome and cerebral palsy. They face challenges every day and some struggle to do things that we all take for granted such as walking, talking and even eating. We find that a lot of our students begin to struggle emotionally as they enter their teenage years and become aware of their disabilities. They begin to understand that their lives may be very different from their peers, they may not be able to get a job without support, or drive a car, or live independently. We have a high rate of depression and anxiety amongst our teenagers. 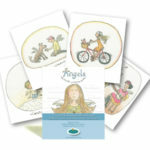 I would use the Choosing Strengths cards in small groups to help students to understand that they do have choices; that they do not have to be defined by their disability, that they do have some control over their lives and how the choices they make every day can make a difference to their quality of life.